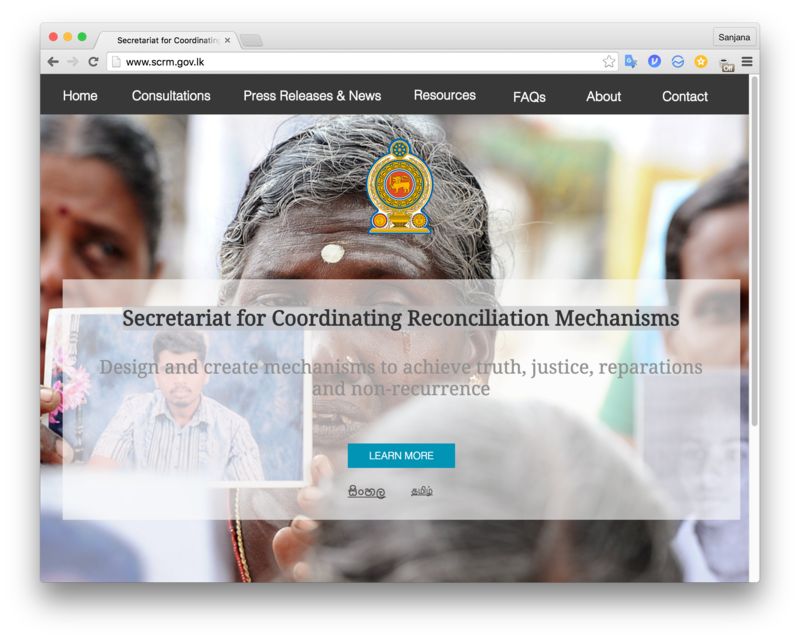 The Secretariat for Coordinating Reconciliation Mechanisms is tasked with the design and implementation of Sri Lanka’s reconciliation mechanisms. The Secretariat, which comes under the Prime Minister’s Office, was formed by the Cabinet of Ministers on 18 December 2015. The first archive of the site was generated on 11 May 2016. Download the second archive of the site taken in February 2017, which contains all the material related to the public presentation and launch of the Consultation Task Force (CTF) report. Download third (complete) archive of the site, taken 30 October 2018, here.